Starting with a clean slate is always ideal, especially if you are thinking of sorting through a mountain of stuff. Take everything out of your garage and sort them there before you take them back in to place in shelves, storage units, and boxes. If you find yourself out in the hot sun while doing the sorting, you can benefit from using a portable carport as shade. Don’t hesitate to throw stuff you don’t need out of your garage. If you feel that it has some value, sell it on an auction site or have a garage sale for the stuff that you think other people can still use. If you think that members of your family might want to pick stuff that they want out of the junk in your garage, ask them to go through it before it heads for the dumpster. It helps to have containers for the stuff that you are thinking of throwing away, keeping, and selling or giving away. Plastic boxes should be prepared for items that you are storing away in your garage or attic. Cardboard boxes will suffice for items you are throwing away, giving away, or are thinking of selling. Items that cannot fit in boxes however can be tagged with a post-it that says whether or not you are keeping them, selling them, or throwing them away. If your garage is sturdy enough, you can try mounting some of your plastic storage boxes on runners attached to your ceiling. 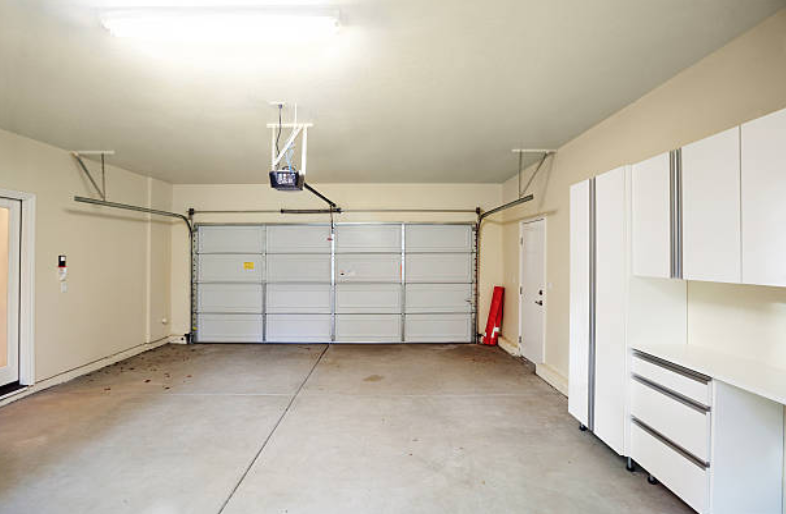 Some metal garages are strong enough for you to do this, so you might want to increase your storage space by looking for DIY instructions on how to create floating storage systems for your garage. Another great space-saving storage idea for your garage is the installation of adjustable storage units that you can expand or reduce in size to fit whatever it is you need to store. You can also utilize your walls the same way that you utilize your ceilings by creating racks that you can mount plastic bins on easily. Wire racks, baskets that you can mount on hooks, and floating hooks for bicycles are also great space saving storage ideas. Most people end up using their garage for just about everything and anything. It is often used as a garden tool shed, as an outdoor gaming storage facility, as a workshop, and as a home improvement storage facility. Some people even use their garage as an extension of their kitchen, with an extra chest freezer sometimes finding its way here when there is not more space for it in the kitchen. To make sure that you get what you need without having to dig through every single thing that you store in your garage, you should organize your storage units according to what these are for. Gardening tools and equipment should be placed in one area while car repair tools should be placed in its own area. Categorizing will help avoid future clutter and frustrations when you have to find something you need in a hurry. If you find that after you have organized your garage effectively that you still need extra storage space, why not consider ordering a prefab shed or barnstyle metal garage for this. You can actually free up your garage space of clutter and create a separate storage unit for some of the stuff that you have. You can even customize your shed to look the way you want it to look and to be in the size that you need it to be. For your custom prefab garage and shed needs, you should contact Carports US. We are one of the leading manufacturers of metal carports, garages, and barns in the US. To find out how we can help you, simply contact us at (844) 557-6375 or message us on any of our social media accounts.